Sha’ab Abu Nuhas. Situated about halfway between Hurghada and Ras Mohammed, this reef patch lies next to a major shipping lane and it is home to four complete wrecks. In April 1983, the Giannis D was being loaded with sawn softwood at the Croatian port of Rijeka. Part of this cargo was destined for the Saudi Arabian Port of Jeddah, with the remainder to be off-loaded at Hodeidah on the coast of Yemen. It was a beautiful Spring morning as the ships Captain ordered the mooring lines slipped and the Pilot guided his charge out into the Adriatic before disembarking a short time later. The journey down through the azure-blue waters of the Adriatic and then across the Mediterranean Sea were uneventful – with the ship in the hands of the Officer of the Watch. They made good time to Port Said where the Captain took charge of his vessel once again. 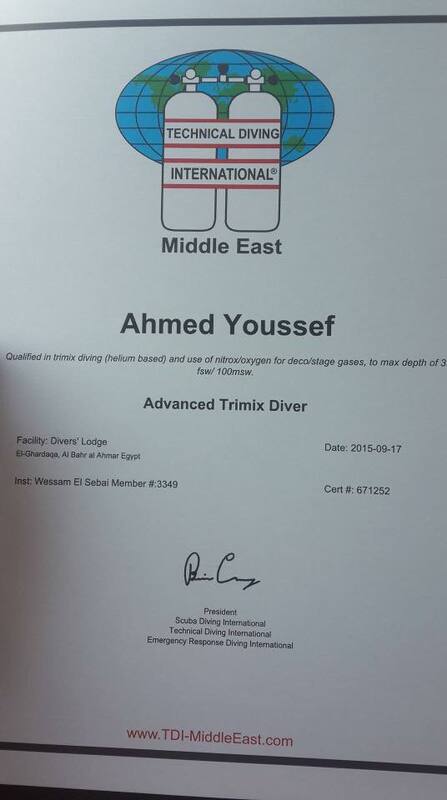 Like any other country, the Egyptian authorities have a number of routine checks for any vessel entering their territorial waters. Although things had been generally quiet for some time, the Arab-Israeli War was still ongoing – making these difficult and volatile times in the Middle East. Naturally, those authorities had to be satisfied that neither contraband nor weapons were being smuggled either into or through their country under the guise of Cargo. For law-abiding vessels, like the Giannis D, the many rules and additional checks were as time-consuming and tiresome as they were necessary. Having satisfied all the various requirements and checks, the Giannis D was finally allowed to proceed through the Canal, which proved to be just another of the many safe passages completed every day. Once into Suez Bay, the Giannis D stopped long enough to allow the Pilot to disembark. For him, it would soon be another ship and a return journey to Port Said. For the Giannis D, however, there now came one of the busiest and most testing stretches of water to be found anywhere in the world. The Giannis D was now in the upper reaches of the Gulf of Suez – a long narrow stretch of water festooned with small islands and Coral Reefs. Whatever their size, at least the islands were visible but Coral Reefs are very different and lurk menacingly just below the surface like an unseen enemy waiting to rip the hull from any careless vessel – as many a Captain has discovered to his cost. The Master of the Giannis D knew these waters well and was not too proud to trust his more junior officers with the important task of navigation. Setting his usual course, he checked every element of the ships position and made sure his orders were fully understood before leaving the bridge. Eventually, they were approaching the Straits of Gobal and, as the Sinai coast began to fall away to the east and the Egyptian mainland even further away to the west, the Captain was satisfied that the more dangerous stretches of water had been safely negotiated once again and finally he could relax. With Jeddah another 600 miles further south and, thinking that only the open Red Sea was between him and his destination, the Captain relaxed in his cabin and was soon fast asleep. He had, however, not reckoned with Abu Nuhas and it was not long before he was very rudely awoken by an event that would signal the end of his much loved ship. 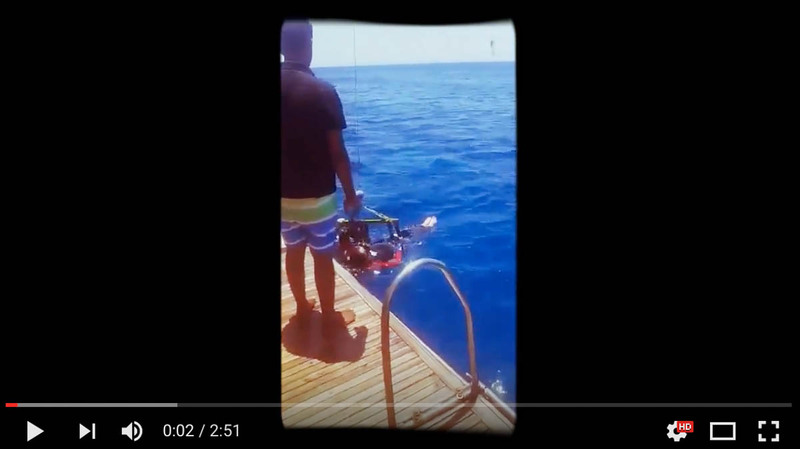 With the engines set at “Full Speed Ahead” the Giannis D was seen to suddenly wander from her allotted course and drive hard onto the north west corner of Abu Nuhas Reef. The date was April 19th 1983. “GIANNIS D (Greek). London Apr 21 – Information received, dated Apr 20, states: Mv Giannis D, (from Rijeka), cargo sawn softwood for discharge at Jeddah and Hodeidah, grounded at Shab Abu Nuhas, approximate position lat. 27.35N, long. 33.56E, last night. Crew abandoned vessel, which is listing, and taken by an Egyptian tug to Santa Fe platform and then by helicopter to Ras Shoke. 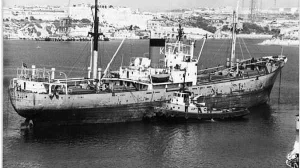 Owners signed Lloyds standard form with salvage tug Salvanguard, which proceeding to vessel.” By the time this was being read in London, however, the Giannis D had been declared a total constructive loss. Launched in 1969 as the Shoyo Maru, the Giannis D was built by the Kuryshima Dock Company of Imabari, Japan. A “General Cargo Vessel” of 2,932 gross registered tonnes, she possessed two cargo holds forward with Bridge and Engine Room at the Stern. Her dimensions were 99.5m x 16m with a draught 6.53m . Her machinery was built by Akasaka Tekkosho KK of Yaizu, Japan and comprised a 6 cylinder diesel engine capable of producing 3,000 BHP and a top speed of 12 knots. The Giannis D sailed under her original name until 1975 at which time she was sold and re-named the Markos. Interestingly, that name is still discernible on the vessels hull and there are those who insist on calling her by the misnomer “Markos D!” Further rumours of another shipwreck called the Markos (sometimes spelled Marcus) also appear from time to time when no such vessel exists. In 1980, the ship was then sold again to the Dumarc Shipping and Trading Corporation of Piraeus, Greece. This was when she was given the name Giannis D and a large capital “D” was emblazoned onto her funnel. The “Giannis D” is now found in three separate sections – Bows, Amidships and Stern lying more or less parallel to the Reef. Whilst each of these will provide the Diver with a most rewarding dive, most Divers tend to head straight for the stern where they will find a very dramatic and exciting structure. Such is the power of nature to reduce a man-made object to scrap metal, that the Stern looks as though it has been cleanly cut from the remainder of the ship. Almost like an island in the sand, this part of the wreck sits proudly all by itself, listing to port at an angle of about 45 degrees. The deepest part is the port companionway which is almost resting on the seabed. Above this, a number of davits and other fittings are found hanging out from the wreck. There are Crown of Thorns Starfish here – so watch where you put your hands. At 23-24m this is the deepest part of the wreck and immediately above, parts of the superstructure reach to within 4 metres of the surface. On the starboard side, the Diver will find a ladder still hanging down the side of the vessel. This was used by the crew as they abandoned ship. Immediately below is the propeller which is partially buried in the sand. Above and just in front of the huge rounded stern is the starboard-side companionway and stretching above this the Diver will find raised decks and the Funnel (with the “D” clearly visible). There is easy access to the engine room, which was never salvaged, and offers a very exciting interlude for those who prefer to venture deep inside. The leading edge of this section is, of course, dominated by the Bridge. This is a large, and relatively shallow, open “room” with plenty of light and a number of entry and exit points providing excellent conditions for those wishing to enter a wreck for the very first time. Immediately in front of the bridge are a number of cargo winches below a very large “A” Frame. Travelling eastwards – parallel to the Reef which is over to the right, the Diver will now pass over the remains of No 2 Hold before arriving at the section that once separated the two cargo holds. Part of a companionway is uppermost with mast and booms having fallen across the seabed. Continuing in the same direction, the Diver now passes over the remains of No 1 Hold and a few well-rotted remnants of the cargo of softwood before arriving at the Bows. 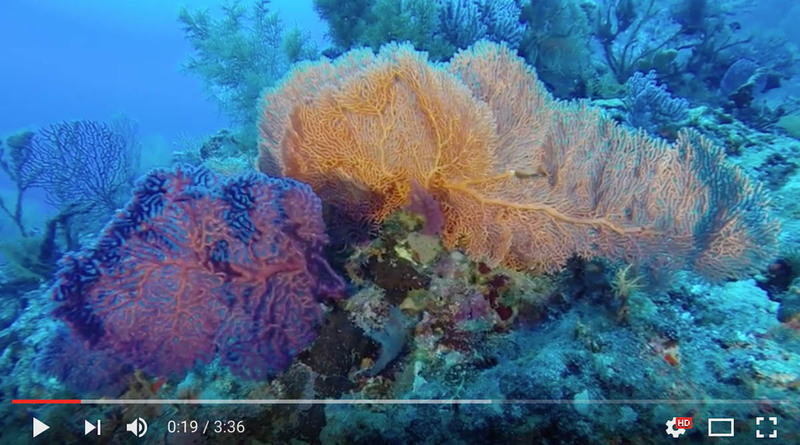 These are a completely separate dive and one that is often overlooked. The Bows rest perfectly on their port side with the decks facing away from the Reef. Once again, they look as though they were separated from the remainder of the ship by an acetylene torch. Being exactly on their side, however, means that the forward main mast is found stretching out directly above and parallel to the sand – seemingly defying all the known laws of gravity. Many hard and soft corals have begun to colonise this part of the wreck and numerous Reef Fishes have crossed over from the adjacent Reef to set up home. A very large Napoleon Wrasse is often encountered here. On the focsle, the diver will find the windlass and a number of cargo winches – all occupying their rightful place. There is also a small entrance into the tight confines of the forward anchor locker – but with so much chain still inside, there is nothing to recommend the experience. Overall the Giannis D is an excellent dive – and one that is much enjoyed by every grade of Diver. Why she should have suddenly veered from her course will probably never be known. Thankfully, there were no casualties and, in this case, Shippings loss is definitely Divings gain. The Peninsula & Oriental Passenger Steamer “Carnatic” was built by Samuda Bros of London and classified as an “iron framed planked passenger steamer of 1776 tons.” Her dimensions were 89.8m x 11.6m with a draught of 7.8m. In addition to square-rigged sails, she was powered by a single 4 cylinder compound inverted engine which produced a very handsome 2,442 hp – also built in London, by Humphrys and Tennant. 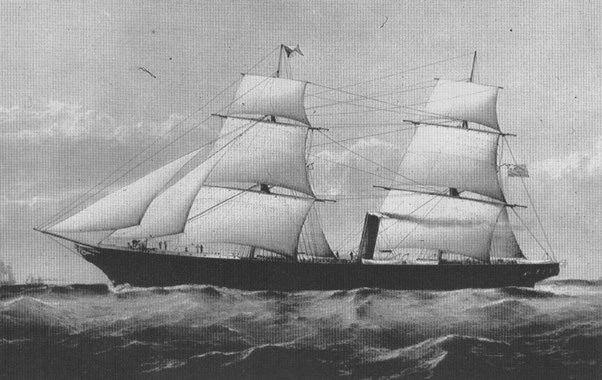 The Carnatic was launched in December 1862 and registered by P & O (although that abbreviation was not used in those days) in March 1863. She then sailed for Calcutta on June 27th whereupon she was employed between Suez, Bombay and China. In 1867 the Carnatic became the proud command of Captain P. B. Jones – one of the ablest officers of the company. By September 1869, the Suez Canal was nearing completion and would be opened within three months. For the moment, however, passengers and cargoes were unloaded at Alexandria – from where they would travel 200 miles overland to Suez, before joining another vessel and resuming their voyage. In this way, the longer and more perilous route around the Cape of Good Hope was avoided. It was during the second week of September that Captain Jones was found supervising the arrival and stowage of both passengers and cargo for yet another trip. Some of that cargo was very valuable and he had to make sure every single item was thoroughly checked and secured. Finally, he had taken charge of 34 passengers, 176 crew and a cargo of cotton bales, copper sheeting, Royal Mail, and 40,000 in specie – destined for the Indian Mint. At 10am on the morning of Sunday 12th September 1869, Captain Jones ordered the mooring lines slipped and the Carnatic sailed for Bombay. She was a sleek vessel with proud lines and, unlike many of the hybrid “sail and steam” ships of the period, this vessel responded well to either form of power – thus giving her a definite advantage when other ships were becalmed. Captain Jones personally negotiated the long narrow confines of the hazardous Gulf of Suez and remained on the bridge to give his personal attention to every detail of navigating his vessel safely. Not trusting his more junior officers, Captain Jones remained on the bridge, supplementing this continual lack of sleep with copious amounts of coffee – just to stay awake. Maintaining a steady speed of 11 knots, the light at Ashrafi was sighted at 11:40pm and by the time the Second Officer came on duty just after midnight, it was already 5 or 6 miles astern – though no bearing was ever taken. The night was clear, with a slight following breeze and a little land haze – common in these parts. More importantly, the headlands and islands through which the Carnatic plotted her course, were all visible. At 1am Shadwan Island was sighted by the Second Officer – dead ahead. The Master altered course to S. 46 true and gradually to S. 51 true. Eighteen minutes later, however, breakers were seen on the starboard bow. The helm was instantly put hard-a-starboard and the engines at full speed astern. Too late, the Carnatic struck Shaab Abu Nuhas Reef where she became firmly fixed. Not a man to overreact, Jones was most thorough in checking every single aspect of the ships condition and was quite satisfied that the pumps could handle the amount of water being taken on. Judging the passengers and crew to be as safe as could be expected, he decided everyone would remain on board. At daybreak on the 13th, Jones assessed the situation once again. The ship was stuck fast on a large Coral Reef and, although she was leaking, she was still in pretty good shape and the pumps were coping. Jones then ordered a large amount of the cotton dumped overboard in order to lighten the vessel in the forlorn hope that she would float off with the tide. There was no panic amongst the passengers although some did ask the Captain for permission to make for Shadwan Island. Jones refused. Jones was well aware of the dangers involved in moving 210 people to a remote island on the far side of a dangerous coral reef in small boats and of the deprivations they would suffer until rescued. For the moment at least, his vessel was relatively sound, they had power and considerable comfort. He also knew that the P & O Liner – Sumatra, was due to pass by at any time, inbound for Suez and he fully expected to be rescued later that day. Meals were served, people strolled the decks and, up aloft, a constant lookout was kept for a passing ship. But none came and, as evening fell, a second deputation of passengers approached the Captain with a plea to be allowed to reach Shadwan Island by lifeboat. Again he refused. Totally underestimating the power of a Coral Reef to inflict damage on a steel-hulled vessel, Jones decided all would spend another night on board. Accepting his authority, some of the passengers even dressed for dinner and the waiters served drinks before they all enjoyed a sumptuous evening meal. For some, it would be their last. As the Carnatic continued to pivot on top of the Coral head that held her so firmly in place, the leaks got worse. What went undetected, however, was the slow, irreversible process that was weakening the keel itself as it steadily rocked to and fro in the gentle sea. By now it was only a matter of time. At 2am on the morning of the 14th, the level of water within the ship finally engulfed the boilers and suddenly they were without power and light. Now even more passengers wanted to leave – but still Jones placed his faith in the timely arrival of the Sumatra. By daybreak, however, the sea state had begun to increase and water was rapidly filling the ship. Finally realizing his ship was lost, Jones ordered the lifeboats be made ready. It was not until 11am that he allowed the first passengers to begin to disembark. Tragically, at that very moment it became too late for some. In the time-honoured tradition of women and children first, the three ladies and one child on board had just taken their seats in one of the lifeboats when the Carnatic suddenly and without warning broke in half. Thirty four hours on top of a Coral outcrop had proved too much for the gallant little ship and, with her back broken, the aft section sank quickly – taking 5 passengers and 26 crew with it. Instantly, much lighter, the fore section fell over onto its port side as it also began to slip off the Reef – spilling almost everyone into the sea as it did so. With passengers and crew fighting for their very lives amongst masts, spars, rigging and all manner of debris, they were then suddenly engulfed by the returning wave caused by the sinking stern. As freed lifeboats floated off, there were many instances of bravery and brute strength as people forgot their respective positions and worked together for the common purpose of saving themselves and each other. One by one the survivors were firstly hauled to safety and then taken to a rallying point where other lifeboats congregated together in the shallow water above the Reef. Then it was a matter of collecting anything that might be needed and, with a final scan for survivors, it was time to leave. Shadwan Island, however, was three miles from the far side of the very wide Shab Abu Nuhas Reef. To shorten this journey, each of the seven lifeboats was pulled across the top of the Reef by the men taking it in turns – until, finally, this small, pitiful flotilla was able to row the remaining distance. It was after sunset when they arrived and, once again, they had to negotiate yet more coral reefs before they were safely on dry land. Fortunately, several jettisoned bales of cotton had washed onto the island and being so tightly packed, were still very dry inside. They were actually calico – a form of course muslin material, and provided rudimentary clothing and warmth for the cold night ahead. In fact there was so much dry cotton that a large amount was carried to a high point and set alight. At last the Sumatra was sighted and she quickly responded to the only signal rocket fired. On his return to Suez, Captain Jones was recalled to England to face an official Board of Enquiry. With a cargo of such great value (the equivalent of several million pounds by todays standards), Lloyds immediately dispatched Captain Henry Grant to take charge of a recovery operation. On arrival in Suez, Grant was informed that the Carnatic had sunk in over 40 fathoms (over 70m!) and almost turned back. Then having second thoughts, he decided the least he could do was take a look. He arrived on the scene on 29th September and immediately chased away some Arab boats. Grant was heartened to find the Carnatic in quite shallow water at the bottom of a Reef with some of her features still visible above the surface. Working from the Salvage vessel “Tor,” Grant had only one diver at his disposal – one Stephen Saffrey from Whitstable and adverse weather conditions delayed the first descent until 15th October. The search began in the Mail Room where a body was first recovered. Mail bags were sent to the surface and pocket watches removed from the safe, but no specie. Next to the “Mail” Room, was also a “Post Office” but access involved removing the large bulkhead which separated the two. This took Saffrey several days but finally, he was through and, on the 24th recovered another 16 mail bags. The first box of bullion was then brought to the surface on the 26th and the task completed on November 8th. In the meantime, local Bedouin free Divers had recovered over 700 sheets of fine-grade copper also destined for Indias Mint. Official reports record the entire cargo of “specie” being recovered and, having been found in a very secure and undisturbed part of the ship, no other outcome was ever likely. That said, stories of “missing treasure” still appear from time to time. The most incredible part of this entire shipwreck is that, whilst the ship went to the bottom in two separate halves, those two halves then fell together on the seabed – just as they might have done had the ship gone down as one piece. Today the Carnatic is found at the base of the Reef and lies parallel to it. She is on her port side with the bows facing east. 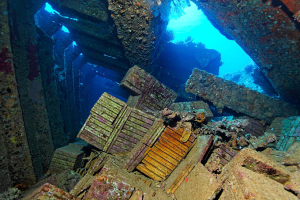 There are three distinct elements to this dive; The fore and aft sections are still largely intact and are joined together by the most damaged area where the ship was broken and the engine room was located. It is 25-27m to the seabed and 18-20m to the upper (starboard) side throughout the dive. The wooden superstructure and planking has long-since rotted away – leaving a steel hull held together by iron supports and cross-members. 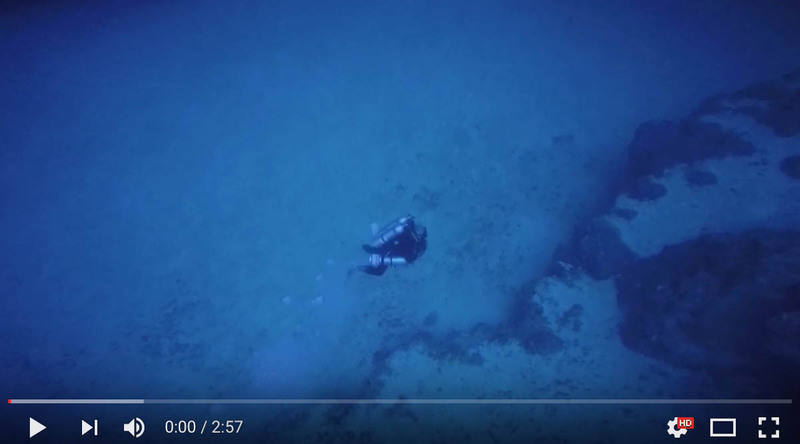 With the decking gone, Divers are able to explore down to two deck levels within the wreck itself. At the Bows is the large copper ring that once held the bowsprit. This lies just behind the curved metal bowsprit support – underneath which was once the figurehead. When viewed from ahead, it is easy to see the Carnatics fine, sleek lines – even today. From the Bows the ship gently widens to the main body where, on both sides, lifeboat davits are found and all swung out. From here the Diver can enter the vessel and swim between the iron supports – a fascinating encounter with a vessel built in 1862! Emerging from the forward section, the Diver then encounters the most severely damaged part of the wreck. Although it is really a pile of scrap metal, it does, provide plenty of scope for investigation – after all, there is a “4 cylinder compound inverted engine” still in there – somewhere. 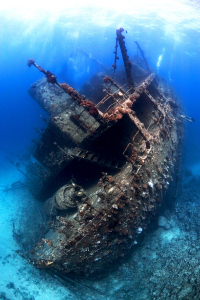 For most Divers, the stern is the most exciting and interesting part of the entire wreck. Similar to the Bows, lifeboat davits are found on both sides and the Diver is able to swim into the wreck down to two levels. Deep inside there is still some very old barrels and I can only wonder what they once contained that proved to be such a fine “wood preservative” – Brandy perhaps? To discover the finest aspect of the entire vessel, however, the Diver must exit the wreck and swim round to the stern. This is a finely moulded stern with a single row of seven square windows facing aft. It really is reminiscent of something from Nelsons day – and provides a fascinating insight into how traditional styles of building wooden ships were adapted for steel construction. Below the windows, the stern curves gently downwards and inwards to reveal a magnificent rudder and the one feature that certainly was never a part of that earlier era – a large three-bladed propeller. After such a long time underwater, it is fairly safe to assume the Carnatic will remain pretty much as she is for the foreseeable future. She is well colonised by coral, soft corals and her own indigenous population of Reef Fishes which include Grouper and Lionfish. Altogether, this is probably one of the finest examples of a ship of her time to be found underwater anywhere in the world – and for that alone she is well worth the visit. Should you do so, perhaps you will spare a thought for those who lost their lives. With Captain Jones having sought to blame an unusually strong current for moving him from his allotted course, the Court stated that the Master should have taken a bearing from Ashrafi Light to ascertain his precise position. The Courts decision was that the stranding of the Carnatic was “due to a grave default of the Master” and consequently suspended his Masters certificate for 9 months. Captain Philip Buton Jones was born in Liverpool in 1830 and gained his Masters Certificate in London in 1858 – at the relatively early age of 28 years. His previous Commands included Columbian, Mongolia, Surat and Syria during which time he secured a high reputation as a first class Master Mariner. After the loss of the Carnatic, Captain Jones never went to sea again. In August 1981 Captain Kanellis was in Italy on board, the Greek registered freighter Chrisoula K. Having completed the loading of a cargo of Italian Floor Tiles for Jeddah the previous day, it was first light when the mooring lines were slipped and the Chrisoula K headed out into the open reaches of the Mediterranean Sea for what was to become her last voyage. It was a long and uneventful journey to Port Said followed by the 200 mile trip through the Suez Canal. From here, the Captain then had to negotiate the narrow confines of the more treacherous upper reaches of the Straits of Suez – during which he insisted on giving his personal attention to every detail of navigating and running his ship. Not for the first time do we find a Captain who decided to do everything himself and, as the vessel finally approached the Straits of Gobal, he had been on duty for more than 2 days without a break. Such prolonged periods of hard concentration, were bound to take their toll and, just as the ship approached the wider, easier to navigate channels of the Red Sea, Captain Kanellis was finally able to relax and hand over control of the ship to one of his Officers. With Jeddah another 600 miles further south, Captain Kanellis retired to his cabin for some well earned rest. He had not been asleep very long when he was very rudely awoken by an event that would signal the end of both his career and his ship. 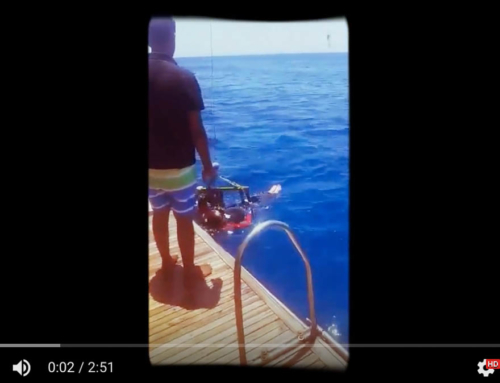 With the engines set at “Full Speed” the Chrisoula K had driven hard onto the north east corner of Shaab Abu Nuhas Reef. The date was 31st August 1981. 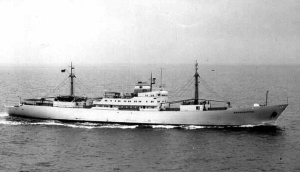 Thankfully, there was no loss of life – but whether the Captain, through his tiredness had made a simple mistake – either in the instructions given or the course plotted, or whether another officer made the fateful decision that brought the Chrisoula K into contact with the infamous Reef is not known. 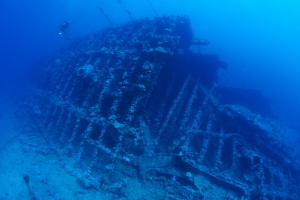 What is known, however, is that today, the Chrisoula K can be found where she fell and provides all grades of Diver with one of the finest shipwrecks in the entire Egyptian Red Sea. A General Cargo Vessel of 3,720 tonnes (gross), the ship was built in the German Baltic port of Lubeck by Orenstein, Koppel and Luebekker and launched in 1954 as the Dora Oldendorf. In 1970 new owners re-christened her the Anna B and in 1979 the Clarion Marine Company of Piraeus, purchased the ship and renamed her Chrisoula K.
Her dimensions were 98m x 14.8m with a draught of 9m. She was powered by a 9 cylinder diesel engine – capable of delivering a very credible 2,700 bhp. This was built by Masch, Augsburg-Nuernberg (MAN) of Augsburg – in the heart of Bavaria. Incidentally, this town is on the banks of the River Lech – a tributary of the Danube and that, in turn, allows access to the mighty Rhine. But is this the Chrisoula K? Not far from the Chrisoula K is another wreck (the Kimon M) which is of similar size, tonnage and age. The confusion which exists is fully described in the piece on the Kimon M and need not be repeated here. Soon after being driven hard onto Shaab Abu Nuhas, the stern of the Chrisoula K filled with water and she settled on the reef – leaving her bows high and dry. Several photographs of those Bows, were then taken and some were widely published. Curiously, when viewed from a certain angle, they give the impression that the Bows are entirely separate from the main body of the wreckage – something that has led to considerable confusion about the true identity of this shipwreck. Those innocent photographs were in fact quite misleading – simply because the Bows were still attached to the main body of the wreck when the remainder of the ship slipped back into the sea and came to rest underwater. Naturally, being the most shallow, the Bows have suffered at the hands of nature for almost twenty years and are now well broken up. In 1999, I came across an old photograph of the Chrisoula K taken in Malta in 1980. This photograph shows various ships features quite clearly and I have made comparisons with what is found today – underwater. In short, wreck and photograph match leaving me in no doubt whatsoever that the shipwreck widely regarded by the Diving Trade in Egypt as the Chrisoula K is correctly identified. On top of that – there is also her cargo of floor tiles! With wave action having now reduced the Bows even further, it is the remainder of this fabulous wreck that attracts most interest. The main body is generally upright with her cargo of Italian floor tiles still in place. The stern, however, is now leaning well over to starboard and is slowly separating altogether. Here the decks are almost vertical and have become well colonised by outcrops of coral with all the popular Reef Fishes one might expect to find. Although canted over, this part of the ship is, nevertheless, largely intact and comes complete with the usual array of bollards, capstans and railings. There is also a small accommodation block through which access is gained down to the engine room. From the decks, the rear mast hangs in mid-water almost parallel to the seabed and defying the inevitable laws of deterioration and gravity thus providing an added dimension to a fascinating scene. Deep inside the stern, the engine room offers some serious penetration diving for the experienced wreck diver. A word of caution for those who do wish to venture deep inside the ship. Engines rooms are, by their very nature, busy places – even long after the engines have ceased to turn, and those in the Chrisoula K are no exception. There are numerous obstructions which are made all the more confusing by this part of the ship being on its side. 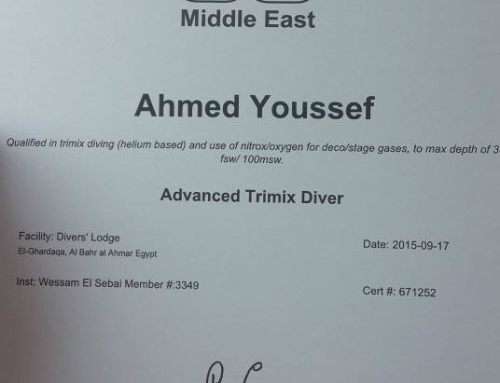 Experience of such diving plus a torch and back-up torch are essential. Even so, the greatest danger is provided by silt – through which no light will penetrate. Having arrived, on all sides, the diver is confronted by a wide assortment of pressure valves, gate valves, vents, dials and gauges of all sizes. There are pipes and railings stretching in every direction, steel ladders – now on their side and metal walk-ways that have fallen at the wrong angle. Altogether, they add equal measures of excitement and curiosity as the Diver tries to visualise what it was like when the engines were turning. 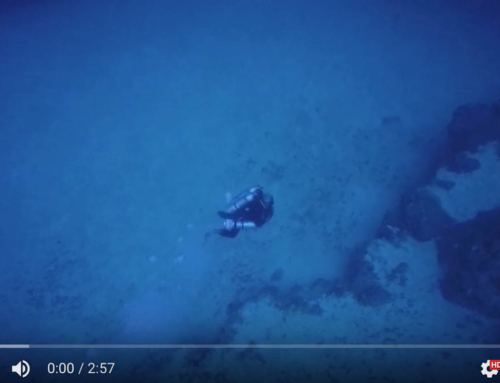 At the seabed, the large propeller and rudder are still virtually undamaged at the maximum depth for this dive of 26m. From here, the entire port side then gives the diver a very clear indication of the destructive power of the sea. Looking carefully, one can see how, at the very stern, the steel plates lie hard over and almost flat, then, a few metres ahead they are simply twisted. Then the diver will find a large tear in those steel plates just before the port side becomes perfectly vertical. 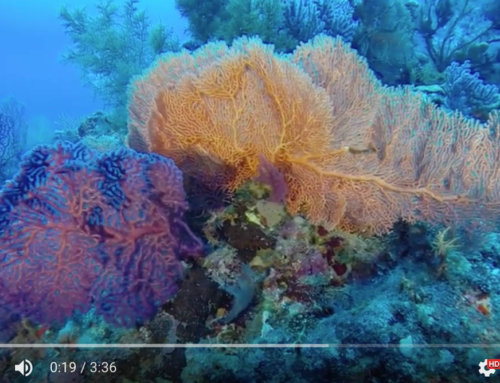 The entire Port side being covered in a large assortment of hard corals. Swimming through that large “tear,” the Diver is able to enter one of the holds immediately above the cargo of large floor tiles – with each package of twenty or so tiles still carefully bound together. With high levels of damage sustained throughout the wrecks superstructure, a significant amount of natural-light penetrates these spaces and helps to provide plenty of easy swim-throughs and access to areas worthy of exploration without the danger of becoming “lost” inside. This shipwreck offers a variety of different dives to cater for all levels of experience. At one end of the scale, there is penetration right into the engine room for the more able Diver, less demanding is a visit to the rear accommodation blocks, a swim through open cargo holds or, perhaps, simply an investigation of the external features without venturing too deep. In less than twenty years, the Chrisoula K has become a natural extension of the nearby Reef with hard corals and soft corals colonizing the wreck. In addition, many of the more richly coloured Reef Fishes have made the Chrisoula K their home as the vessel slowly continues its transition from man made object to Coral Reef extension – a process that will continue until, one day, she will inevitably disappear forever under the weight of nature. By then, of course, she will have become a long-forgotten part of Egypts rich maritime history. is it Kimon M or Olden? The Chrisoula K was a vessel of 3,720 tonnes. By comparison, the Olden was 27,288 tonnes with twin propellers. Loaded with Barley, she struck a reef before sinking in lat. 27 31.2N, long. 34 17.1E on 2nd February 1987. This large Bulk Carrier is now found approx.14 miles due east of Shadwan Island in over 1000m of water! Having confused the Oldens name with one ship, her cargo then becomes confused with another. The Kimon M was of a similar size, tonnage and age to the Chrisoula K and many leading accounts show photographs of one ship whilst describing the other. On discovering the Chrisoula K to be full of Tiles, it has been assumed the Olden must be the other wreck nearby. Finding her to be full of Lentils has proved to be good enough for those who think Lentils probably meant Barley anyway! Things only get worse when one starts to read so-called authentic accounts of the “SS Lentil” – but enough is enough. 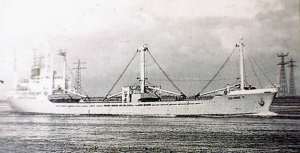 The “Kimon” was a General Cargo Vessel of 3,714 tonnes (gross) with 4 cargo holds – two forward of and two aft of the central bridge structure. She was built in the German town of Hamm in 1952 by Stuicken & Sohn. Her dimensions were 106.4m x 14.8m x 6.81m. She was powered by a 4 stroke single action 8 cylinder diesel engine built by Waggon & Masch – also of Hamm. The ship did not change her name throughout her career – although the “M” was added some years later by her last owners – the Ianissos Shipping Company of Panama. In December 1978, the Kimon M loaded 4,500 tons of bagged Lentils in the Turkish port of Iskenderun. On completion, the hatches were battened down and the ship prepared for the long journey to Bombay. It took just over two days for the Kimon M to reach Port Said and about the same time again to reach Suez. From here, the Captain had to navigate the narrow confines of the more hazardous upper reaches of the Straits of Suez and for two days he spent most of his time on the bridge – giving his personal attention to every detail of bringing his vessel safely into the Red Sea. Finally, the ship approached the wider stretches of the Straits of Gubal and the Sinai began to fall away to the east and the Egyptian mainland even further away to the west. Satisfied that the more dangerous stretches had been safely negotiated, the Captain finally handed over control of his ship to one of his officers and went below. It was not long, however, before he was very rudely awoken. On December 12th 1978, with engines at Full Speed the Kimon M drove hard onto the north east corner of Shab Abu Nuhas Reef. A passing cargo ship – the “Interasja,” immediately responded to the distress call and picked up all the crew and delivered them safely to Suez two days later. It is not known which wreck the Kimon M claims to have hit prior to grounding. This was almost 3 years before the Chrisoula K would go aground, but other ships are known to have grounded here and then been successfully refloated. Perhaps, one such grounded vessel gave the impression of being in deep water and the Kimon M simply meant to go around her? More importantly, of course, the position given by Lloyds puts the Kimon M right where she is still found to this day. Prevailing winds and currents then began to push the ship hard over onto her starboard side. Throughout this time, the rather extensive area forward of the Bridge, including Nos 1 and 2 Holds, were being continually pounded until they were eventually reduced to scrap metal. The remainder of the wreck then fell back into the deeper water and came to rest at the base of the Reef – still on its starboard side. The one final indignity to befall this ship was the salvage of large parts of the main engines. With a Salvage Tug firmly secured above the upper, port side, of the Kimon M a large hole was cut into the vessel and the main bulk of the engine removed. At the Bows, storms and rough seas have reduced the front of the ship to a scattered field of debris. The remainder of the wreck itself, however, provides a very exciting dive. It is as though the vessel has been cut straight across the middle of No 2 hold – with that debris field and the remains of the forward mast being all that exists in front of that cut. Immediately aft of No 2 Hold is the engine room with the bulkhead between the two also having disappeared. This, however, has created one of the most exciting underwater scenes it has ever been my privilege to see and photograph. We arrived on the wreck above the port side and dropped into the hole cut by the salvage team. The view from here – forward through what remains of No 2 Hold, was breathtaking. It was like looking through a large oblong box with those Divers who were right at the break, neatly framed in the sunlight against the Reef. between us, inside the hold were a small number of Batfish. Turning to look the other way, we found the remains of the engine room. The removal of the main engine has created easy access to all parts and there is still a great deal for the Diver to see and explore. There are pressure valves, gate valves, vents, dials and gauges of all sizes on each and every side. There are pipes and railings stretching in every direction, steel ladders – now canted over at the wrong angle, and metal walk-ways now on their side. Altogether, they add to the experience as the Diver tries to visualize what it was like when the Chief Engineer and his staff went about their work. Exiting the wreck from the hole, we then followed the port side all the way down towards the stern where we found a large single propeller and rudder. From here we made our way around the very distinctive and pointed stern to the rear decks. 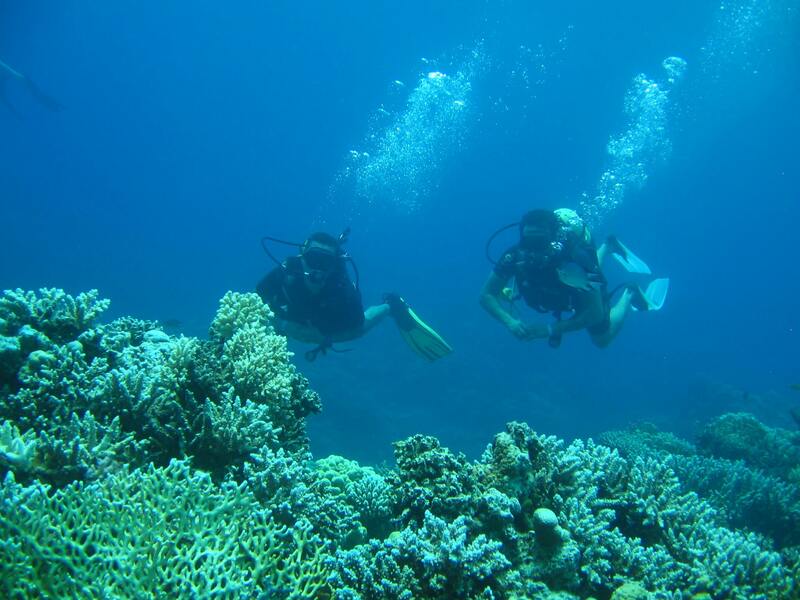 This area is of particular interest and offers a variety of different dives to cater for all levels of experience. For the more able Diver, there is penetration through the various accommodation blocks right through to the engine room, for others, there is the external investigation of numerous features which include the stern, a swim into open cargo holds, those same accommodation blocks and, of course, the Bridge. Being the least damaged, many features of the stern remain intact complete with bollards, capstans and railings etc. The decks themselves are, of course, vertical, and are already well colonized by small outcrops of coral and all the popular Fishes one might expect to find on the nearby Reef. Away from the decks, the main masts lie parallel to the seabed although one of the booms still defies the inevitable laws of gravity and reaches straight upwards to within 6m of the surface. At the front of the Wreck, the seabed at the base of the Reef is between 25-27m. The hole in the port side is at 17m from where everything gets gradually deeper until one reaches the stern where the seabed is at 32m.